Unlike other Creditors, Medical providers rarely check patient information with the possible exception of Insurance coverage. This has a dramatic negative effect on how much will be collected by a Medical Office, Debt Collection Agency or Attorney. Most Patients provide information that is both complete and correct. Even here, however, there may be unexpected problems that cost income. On average, people move about every 4 years. Those living in apartments move more often. Seriously ill people move even more frequently. This means that some of your bills are being mailed to old addresses. It is not uncommon for many of these moving people to leave without providing the Post office with a forwarding address. If there a lot of medical bills and other bills caused by lost income, why let the Creditors know where you are. Other Patients are simply overwhelmed. So, each month those monthly bills are delivered to addresses that are no longer correct. Each month the number of incorrect mailings grows. Each month, your maximum expected collections diminish while your costs keep mounting. Eventually you pass the Insurer’s submission deadline. You should expect better Results. First, don’t keep sending bills until it is too late to collect. If your first 3 have not been answered what makes you think your fourth bill will be the solution? Some Patients just won’t pay but others will pay if called or if you obtain new address information. 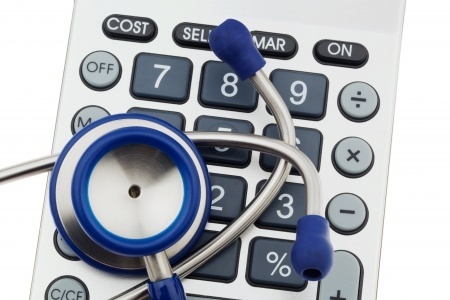 Medical Debt Collection is designed to do just that. Your best results will be achieved if the bills are still under the insurer submission deadline. They will get new addresses. More important, they will collect more money for you. Your Medical Debt Collection Agency will also get more money for you if you make sure there is a bit more information on your Patient forms. Social Security Numbers are essential in locating people. Work phones, cell phones and other Emergency phone numbers also help. More people will be contacted or located and you will get more money. Finally, include a Debt Collection warning on your third mailed bill. Inform the Patient that they must contact you within 7 days or the bill will be sent out for collection. About ten percent of Patients respond to this warning with a payment. These three steps will take none of your time, save office expense and produce added revenue. It is the ultimate free lunch of Patient billing.